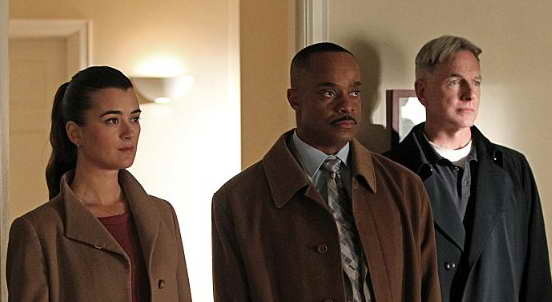 Hey NCIS fans, incredible news came out today, though, if you think about it, it's not a surprise. CBS announced that it has extended their contract with Mark Harmon, the star and executive producer of NCIS. In so doing, they also renewed NCIS through the 2013-2014 TV season! That's pretty decent news gang. NCIS has seen and is in the middle of its 10th season right now, and despite being in its 10th year, is still cranking out what CBS calls "ratings milestones." The show is averaging 21.48 million viewers, which is 7% higher than the previous year. And is that surprising? If you've been following the show this season, you know with recent developments, just how compelling the story writing has been. To me, this says that not only are fans thoroughly enjoying the series but it would seem that new fans are coming along and checking out the TV series that is one of the only scripted series that consistently conquers "reality TV" and this season, actually best all the other TV programming, including football. And the show is licensed around the world in over 200 different markets. Not bad for a spin-off, huh? CBS announced today a new contract extension for NCIS star and executive producer Mark Harmon, and that the U.S. and global ratings phenomenon NCIS has been renewed for the 2013-2014 season. "In a world gone niche, NCIS keeps getting bigger, and Mark Harmon continues to define the role of leading man on the #1 show on television," said Leslie Moonves, President and Chief Executive Officer, CBS Corporation. "NCIS is the type of franchise every company wants in today's global content ecosystem – high-quality storytelling that generates passionate viewers and drives revenue on every conceivable platform." Currently in its 10th season, NCIS continues to hit ratings milestones. This season, for the first time ever, it ranks as television's #1 program (ahead of Sunday Night Football). NCIS is averaging 21.48 million viewers, up +7% over last year and is the highest-rated drama among adults 25-54 (5.9/15), while averaging 4.2/12 in adults 18-49. The series delivered its second-largest live plus same day audience on Jan. 15, averaging 22.86 million viewers. That total soared to 25.36 million viewers with L+3 day lift, marking the first NCIS broadcast to deliver more than 25 million viewers with live plus 3-day lift or live plus 7-day lift. NCIS is also an international hit, licensed in more than 200 markets. It is the #1 series on M6 in France, the #1 U.S. series on Rai2 in Italy and the #2 U.S. series overall, the #1 U.S. series on TV3 in Sweden, the #2 U.S. series on LaSexta in Spain, the #2 U.S. drama on Network Ten in Australia and the #3 U.S. series on Sat1 in Germany. In domestic syndication, NCIS is broadcast on USA Network and ranks as cable's #1 off-network drama. NCIS premiered on CBS in 2003-2004. Since its debut, NCIS's ratings have steadily climbed, finishing 2008-2009 ranked fifth among all primetime programs. During the 2009-2010 season it became the #1 drama/scripted program on television, and has remained the #1 drama ever since. NCIS stars Mark Harmon, Michael Weatherly, Cote de Pablo, Sean Murray, Pauley Perrette, Rocky Carroll, Brian Dietzen and David McCallum. Gary Glasberg, Chas. Floyd Johnson, Mark Horowitz, Mark Harmon, Shane Brennan, George Schenck, Frank Cardea and Donald P. Bellisario are executive producers for Belisarius Productions in association with CBS Television Studios. Mark Harmon is represented by Paradigm and attorney Barry Axelrod.